I remember the first time Sam crawled. Not a commando inch across the floor, but a proper crawl, a proper bridge-making, core-strengthening, arm-and-leg-pumping crawl. He was in the bath. I’d got distracted. Impossible to imagine, I know. I probably got sucked into cleaning the sinks or something, but whatever it was, my attention was drawn away from the rapidly filling bath, and, no doubt much to his infant delight, rather than pour water down the drain, in he went. Now, I should explain. He’d been moving himself around, creeping and rolling across the floor, to the accompaniment of excited squeals, for some time and I had been encouraging him, by being that most infuriating of parents and placing the most desired of his toys (probably a ball, or the stacking cups he used to like to bang together) just out of reach. So, as I was (am) wont to do, I transferred everything we had been doing on the sitting room carpet to the bath. Beyond his chubby-fingered grasp the plastic teapot did go. Astonishingly, he had realised that if he snaked across the surface of the bath he would drown, so he didn’t. And once he figured crawling out, once he got the hang of it, and realised how much quicker and more efficient it was to do than collecting up all the dust and bits of things from the floor by going along belly-first, he was away. Into everything. Over everything. It was a joy. It wasn’t as if I hadn’t been attempting to get him to do it for the best part of two years. The physio had shown me how to hold him. How to exert a bit of pressure on his back foot to help him get the idea, but nothing. It was almost as if, in his slack-limbed way, he was resisting me, and my efforts (he most likely was). And crawling he stayed, for the next year or so. And you know what? I was happy for him to do so. Yes, as someone who was expecting their second child, I was keen for him to walk, so that I didn’t keep having to pick him up and attempt to fit him on a hip that didn’t exist any more. And bending in the middle. I was quite keen not to have to do too much more of that. But what I had, was a comment, and a leaflet, in the back of my mind. A comment from the physio, a lovely lady who always wore scarves and taught me the song about the frogs, that crawling, for the way it built up core strength, coordination and an understanding of the world around him, was a necessary and important stage. That’s the thing about learning. It’s full of developmental stages. Everywhere you look, there they are. Language and communication. Maths and cognitive understanding. Reading and writing. Physical development, like walking, running and jumping. And in order to move onto the next step, as it were, you need to have experienced the stage before – and some children need to stay at that stage for a long time, longer than you might think, just to be sure that the foundations are solid. So, I had to contain my desire to teach him to walk. I had to delay the delights of the babyshoe store (I still have them, the gorgeous little boots I bought him, to support those flexi-ankles), I accepted that, in order for him to build up the strength to succeed at walking up mountains or riding bikes, balancing upon walls without falling off, he couldn’t, and shouldn’t be rushed. 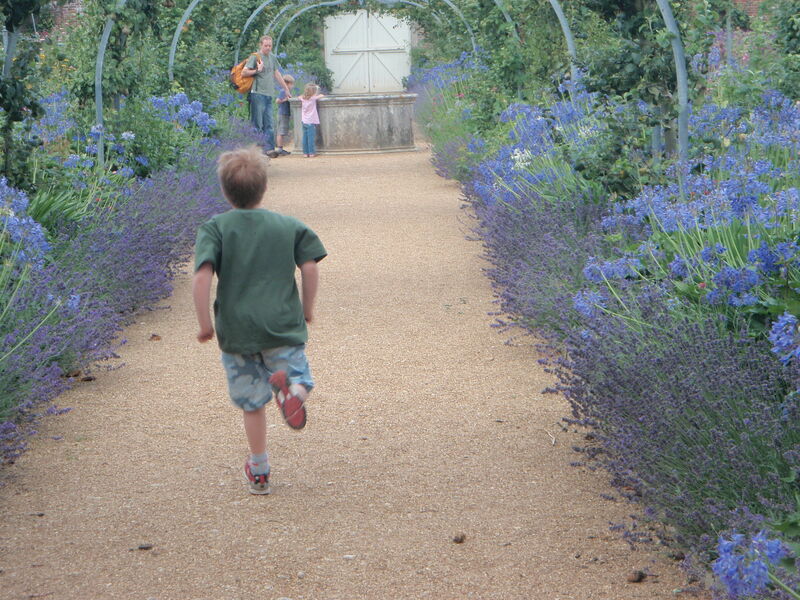 Are we really being developmentally appropriate for ten and eleven year old children? Are we really saying that those children, the ones who don’t make the arbitrary grade, are failures, when in reality, they are at a different developmental stage and maybe, for them, it is entirely appropriate and important that they stay where they are for a little while longer? There is truth to the advice not to run before you can walk. Sometimes, only sometimes, mind you, I take a look at myself in the mirror and I wonder what happened. I have no need of tattoos; I bear involuntary banners on my skin. My right knee. Mashed up one Sunday afternoon when I went out for a family bike ride. Two, tiny lines on my cheek, if you know where to look, tell the tale of when I fell off the wall bars onto the concrete playground, after I had been expressly told not to twirl upside down by my annoyed papa. An old rabbit bite. The long, surgical zip around my rib cage. The silvery trails of child bearing. External markings of a life lived. I remember the moment I first noticed the stretch marks. It was the day the first-time mother me realised that I could no longer fit into my jeans. I sat on the end of the bed and I cried, because at that moment, I knew that nothing was ever going to be the same again. I had set my feet upon a path, the significance of which had only just hit me with the incontrovertible evidence of bodily change. The scars don’t hurt. It’s strange, but there is a feeling of numbness when you run your fingers over them. You can feel the texture, the raised nature of the changed skin, but you can’t them feel from the inside. Where sensation ought to be there is … nothing. In the place of all that remembered pain there is, if not an emptiness, an absence. Sometimes I think that they ought to hurt, the way your heart aches when someone says something, a throwaway comment that touches on an old internal wound. It might be something entirely innocent, innocuous, and yet you turn away, blinded and incapacitated with pain. All those feelings that you thought were gone, all that rage you thought was doused, all those tears you thought were water under the bridge are there. Fresh and raw, as jagged, if not as deep as when they first occurred. Maybe it’s because the outwards hurts have healed. And the inward ones, they haven’t. I’ve just got back from picking my daughter up from school. Thursdays are a busy day, what with swimming and music lessons, so I always walk up the road to meet her, even though most days she brings herself home, because she has so much to carry. Today we just about managed to dodge the raindrops (it always rains at 3pm, always), so we were unencumbered by tilting umbrellas as we walked together (well, I walked, and she skipped and swung her swimming bag around in circles) and she informed me, with absolute certainty, that when she grew up, she would like to be a writer. Now being a writer is a very fine thing, I think. 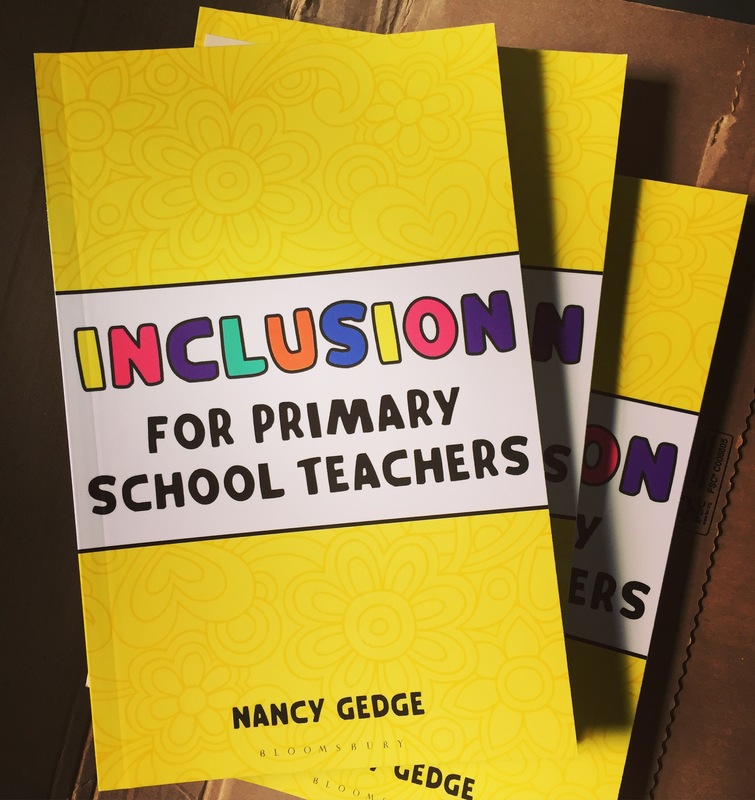 I am very pleased that she has moved on in her ambitions from ‘famous YouTuber’ to writer, and the conversation came about because today (not tomorrow, as I was convincing myself) is Publication Day for my book, Inclusion for Primary School Teachers. This is a massive deal for me, so massive, in fact, that I went out earlier and bought myself a bottle of proper champagne (the lady at the till told me that she has a bottle of the very same brand sitting unopened-for-thirty-years upon her mantel shelf); I fully intend to drink it tonight in celebration (especially as I am too ridiculous to organise myself a party, I don’t like the social anxiety and would far rather be the guest than the host). I hope lots of people read the book. I hope that it makes the complicated world of SEND (Special Educational Needs and Disabilities) a little clearer. I hope that the words ‘grandma’ and ‘sucking eggs’ aren’t put together. I hope that people, teacher-people, think a little bit more, and a little bit more kindly about inclusion in our schools; what it means, and what they can do about it. I haven’t written a book for leaders, although they are welcome to read it. I haven’t written a book for parents, although they are welcome to read it too. I’ve written a book for teachers, the ones in the classroom, the ones teaching all the children, every single day. Because whatever you think about inclusion, whether you think it’s a waste of time, or it’s OK for some kids but not others, or whether you think it should be for everyone and the system needs wholesale change, regardless, the reality is that kids with learning difficulties rock up in mainstream schools every single day, and they have a right to do so, and they have a right to a good education. If you buy it, you won’t find any tales about Sam. You won’t find my other children, or the children I have taught over the years. You won’t find any heart-warming or tear-inducing anecdotes. You won’t find anything that hasn’t been tried and tested. It is a book that talks about ideals but, no matter how hard you look, you definitely won’t find any magic wands. 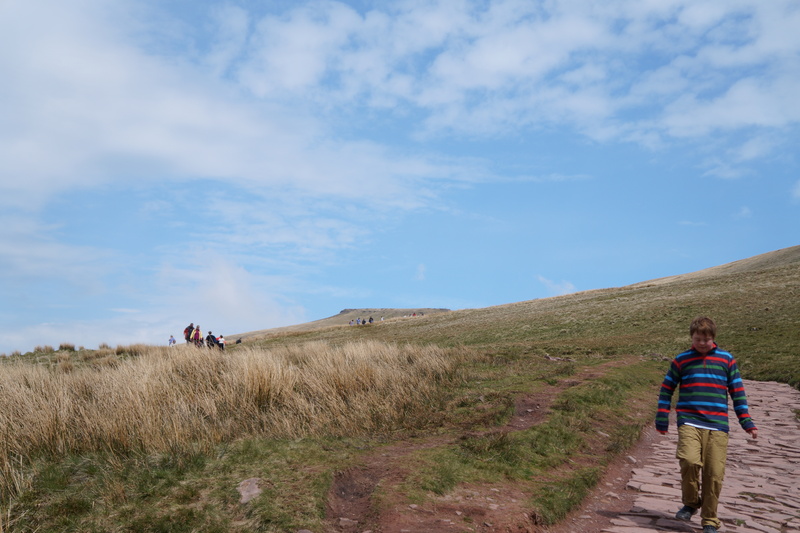 The first time we walked up Pen Y Fan I think I can safely say that it wasn’t an unqualified success. It started off so well. We discussed the day and came up with a plan. Find the car park (the one with a toilet), make a picnic, eat the picnic, walk up and down, have a take away when we got home. So far so good. Except when we got there it was, well, overcast and gloomy. And when we got to the top, we couldn’t really see the top, being as the clouds were in the way, so we didn’t really make it to the top, only to the first top. And then, of course, what should happen on the way down, but the clouds emptied themselves upon us, which was fine for me and the kids, but not for R, as, in all the rushing and hurrying about and muttering ‘come OOOOOOOON!’ and shooing us all into the car, he neglected to bring his coat and so had to charge off down the hill before he got himself a nice dose of hypothermia. And Sam. Sam is not what you might call a willing hill walker. It all seems like jolly fun at the start, but before long, he is deciding that it is all a bit too much like hard work and sitting down in the path, in the mud. Back then, at the time of Expedition Number 1, it wasn’t so much of a problem. R and I just got behind him and pretty much pushed him up. He wasn’t very big. It wasn’t a problem. The biggest problem, in fact, was the other two, charging off into the unknown like a pair of mountain goats. And then, when it started to rain, Sam decided that stamping and shouting and generally getting cross with the weather was the way to deal with it. Which was vaguely entertaining for all the other hurrying off the hill onlookers, but not especially for me, left alone to deal with it while the coatless wonder headed for shelter. When we walked up Snowdon, a couple of years ago now, R and I decided it was the sort of experience we would love to share with our children, but helping Sam around to our way of thinking is a challenge (the last thing we would want would be to find ourselves stuck half way up with a reluctant first born) – until, that is, along came the Duke of Edinburgh. Not the real duke, I hasten to point out, but the award scheme. Before we knew where we were, we were organising (or rather R was) a family walk up to the top of the hill. Us and some other families with kids who were similarly engaged at Sam’s school. 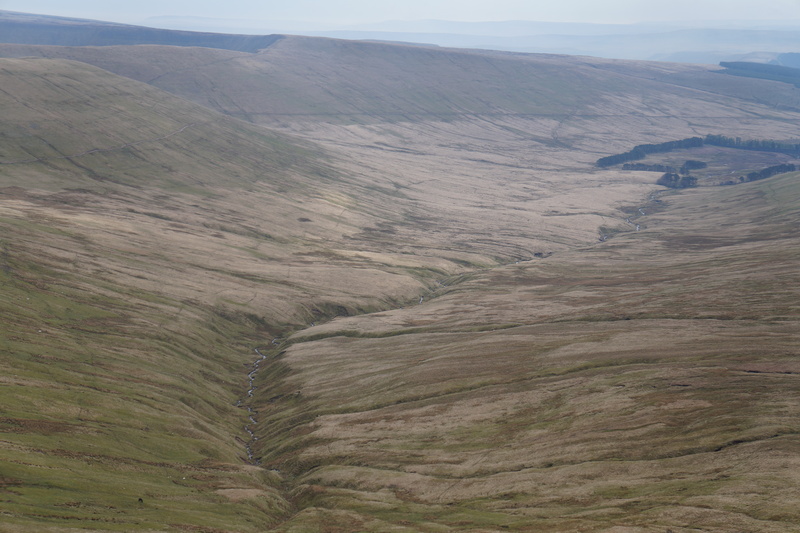 There’s something about walking with friends that helps the miles to pass under your feet, and that was just the sort of thing Sam needed to keep him going, we thought. Having families there would mean that the young people would be supported, and everyone would get a really good day out. Which is sort of how it turned out, except for Sam. You see, we didn’t reckon on me having a heavy cold. We didn’t reckon on Sam finding it quite so difficult. We didn’t reckon on the speed of the rest of the group, who soon left us far behind. And we didn’t reckon on, once he had sat himself upon his rock, it being quite so difficult to get him going again. When we were on the way back to the car, summit conquered and picnic consumed (I had to come away from the edge we originally perched upon; it made my legs go funny) (and no, that wasn’t a consequence of walking up a Big Hill), we passed Sam’s Rock, and I looked back, and I couldn’t quite believe that I had thought it wasn’t much further, and that it wouldn’t take us long to get up to the top, once we got him going again. I couldn’t quite believe that I had refused to give in to Sam’s claims that it was too hard, and R’s somewhat despondent admission of failure. You see, I understand how he feels, my son. I understand what it is to struggle up a hill, with your breathing crashing in your ears and your heart leaping out of your chest. I understand what it is like to feel a physical failure, and to lose faith in your ability to achieve what you have set out to do. To see everyone else charging off ahead of you, leaving you far behind because you just can’t. And, then, there is the other thing that I understand: the power of conquering the mountain, whichever one it was you had set yourself. I understand the power of acknowledging that something is hard, and that you are going to do it anyway, that you can push through the difficulty and that you will, and the bitter taste of defeat when you don’t. I know the the ability to do more tomorrow will be built on the success of today. And then, over the years in which we have grown together, my boy and I, I understand how tricky finding that bit of motivation can be to get him going again, how long you have to wait before he decides for himself that he is, after all, going to accompany me on the journey. I understand that despite the smiling encouragement of strangers, most people either give up, or walk off. I don’t give up. And I don’t walk off. I wrote this post for Debra Kidd. you can find the original on her blog here.